How Many Towers in Your Ward? The Greater Toronto Region contains 1,925 post-war Apartment Towers of eight to fifty storeys, as well as an additional 1,155 post-war apartments five to seven storeys, totalling 3,080 high-rise apartments built in the post-war boom. This remarkable number of buildings in the region is divided among its various municipalities.  The majority, roughly 60%, are located in the City of Toronto, with other large clusters in Peel and Hamilton, and to a lesser degree, Kitchener – Waterloo, Oakville, Guelph, Burlington, and other municipalities throughout the region. In Toronto, this large number is subject to another layer of division, not of municipal boundary, but rather Ward boundaries. 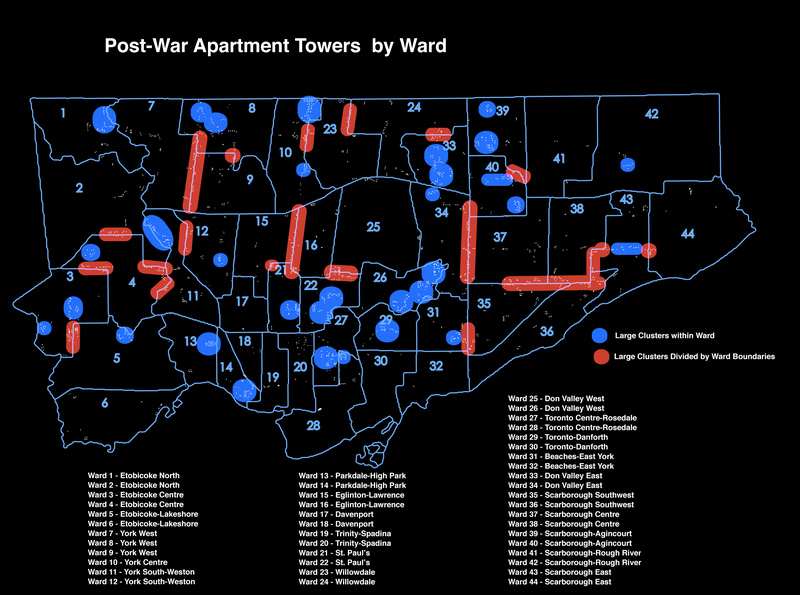 To better understand the relationship of Ward boundaries to Toronto’s post-war towers, a series of maps were created. These maps look at Wards by the number of towers eight to fifty storeys, five to fifty storeys, as well as examining the relationship between large groupings of towers, known as tower clusters, and Ward boundaries. Towers x Wards. Ward number (blue), Large Cluster within Ward (blue), Large Cluster between Ward boundary (red). The findings are quite interesting. The majority of Wards contain 30 or more buildings (5 Storeys and up), and only five Wards contain less than 10. Twelve wards contain more than 50, and one Ward, St. Paul’s, contain over 100. For more information on post-war apartment towers in the region, see the report Tower Neighbourhood Renewal in the Greater Goldern Horseshoe, or visit www.cugr.ca.